Worried that you might be paying over the odds for your energy but don’t know how to see past the jargon and get yourself a better deal? We’ve put together a guide to answer some of the most frequently asked questions on all aspects of energy, from big things such as choosing the right tariff, to the little things like knowing where to find your supply number. Internet-only tariffs typically offer the cheapest gas and electricity prices. Interestingly, they are often only available if you choose them via website(s), but often they will be available over the phone by calling the suppliers directly. The main point is that you manage your account yourself; e.g. receiving bills in an electronic form via email as opposed to paper bills but the cost savings are passed on to you via the reduced energy prices. This is where the supplier matches the amount of energy that you buy from them with an equivalent amount of energy from renewable resources. For example, where a portion of your bill is paid into funds that support (via investment) either renewable energy projects (such as solar power, hydro-electric generation or wind farms), or reforestation projects. Normally costs more to produce but, in most cases, if you have not yet switched supplier you should still be able to reduce your energy prices whilst helping support the environment. 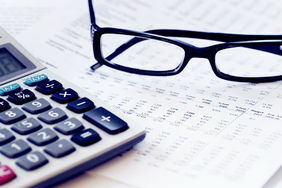 Typically, a utilities bill contains two elements; a standing charge for having the service available to you and a variable charge for the amount you use. A no standing charge tariff allows you to pay only for the energy that you use and does away with the standing charge. In order to check if a no standing charge tariff might be your best option, consider carefully how you use your energy and feel free to search and compare these tariffs with other products listed on our site. You should also look very carefully at the Kw/h rates charges by the suppliers as these can sometimes be higher per unit of energy used than the alternative standing charge type tariffs. Do I need a business energy contract if I work from home? If you’re a sole trader and you work from home, there’s a good chance you’ll be classed as a microbusiness in the eyes of an energy provider and you’ll qualify for a commercial energy deal. 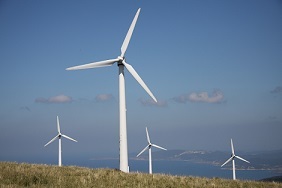 However, at least 50% of your energy usage must usually go towards powering your business. To find out how you might benefit from a business energy deal, check out our guide to micro business energy. If I switch, will there be any interruption to my gas or electricity supply? None at all. Your new supplier will use the same wires, pipes and meters that you currently use. They will also contact your existing supplier to arrange for the transfer of your supply. The only thing that you will notice is that your bill will come from your new provider. What should I consider when choosing a new gas and electricity supplier? Discounts are available for paying bills by Direct Debit; although, there can be stipulations such as monthly payments if you want to qualify for this (check the terms and conditions). Alternatively, if you don’t have a bank account, see what options are available for payment. Make sure you have a thorough look through these to see what fees you may be subject to for call outs, etc. 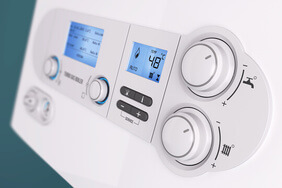 There are plenty of incentives out there for switching as energy firms compete for your custom. Factor in how much of a saving these will bring, but remember to think about how much you’ll be paying in the long run. 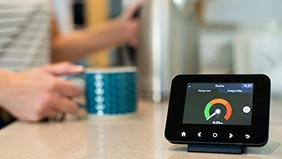 Do I need to contact my current energy supplier if I choose to switch? No. Your new energy supplier will arrange everything for you. Once you have chosen your new supplier and agreed to transfer to them, they will arrange for the transfer to take place. We would highly recommend that you pay any final bills promptly and if you do pay by direct debit or standing order, it is good practice to cancel these arrangements once the final bill has been paid. Who reads my meter when I change energy supplier? Your new supplier is responsible for taking a meter reading when you change supplier and for all future meter readings at your property after the transfer takes place. Your new supplier will either arrange for your meter reading to be taken, or they may ask you to take the reading yourself at the time of transfer (your start date) and this reading will also be used to finalise the accounts with your old supplier. Keep a note of your meter reading on the date that you transfer energy supplier. In the event of any queries, you will need this information if you do not agree with your final bill. As long as you are not in debt with your existing supplier, they cannot prevent you from switching. Your current supplier may, however object, if they have billed you and you have failed to pay that bill for a period greater than 28 days. 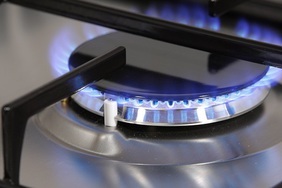 Dual Fuel means that a single energy company supplies you with both gas and electricity. Suppliers that offer dual fuel tariffs often give you additional benefits and discounts if you take both gas and electricity from them. The two main benefits of a duel fuel tariff are price and convenience. You will also only have to deal with one company if you pick a dual fuel tariff. If you only use electricity, you should use our electricity only search option. Can I switch from a dual fuel deal to separate contracts from different suppliers? Yes, you can. However, you may be giving up some of the convenience that goes with opting for a dual fuel contract. Dual Fuel deals can be the cheapest options, but aren't always the best deals. Our advice is to search for dual fuel prices, and separate gas and electricity prices using our service, and select the tariffs that best suit your needs. In order to change supplier, you will need to enter into a contract with your chosen new supplier. The contract will specify the price you will pay and the terms and conditions of supply. After signing up to a new supplier through our site, you will be notified of your rights to change your mind and or cancel the contract during what is known as a 'cooling off' period. Typically this is between 7 to 14 days. During this period, you can cancel the contract without penalty, provided the services you are purchasing are in excess of £35. After the 'cooling off' period has lapsed, you will have to give the supplier notice of your intention to end the contract. The notice that you need to give will depend upon the type of contract you took. Most contracts require 28 days notice prior to termination. A rolling contract (sometimes also called an evergreen contract) is one that carries on until you cancel it. During the period of the contract, the price of electricity can go up or down in accordance with the terms of the contract. You can end this type of contract at any time with 28 days notice if you are moving to another supplier, or 2 days notice if you are moving house. There is rarely any cancellation fee. Rolling contracts may contain periods during which the supplier guarantees not to increase prices. If you cancel during one of these periods you may be liable for a cancellation fee. This contract is fixed for a given period, perhaps one or two years. If you terminate a fixed term contract early, you may be liable for a fee. There are two main exceptions where fixed term contracts can be cancelled without penalty - first when you are moving house, and second, when your supplier increases its price. The supplier must provide at least 10 days notice in writing to announce significant changes in the terms of contract. You will then have a further 14 days to decide and let your existing supplier know whether you intend to end your contract and switch to another supplier. If you do decide to move within this timeframe, you will continue to be billed for the energy you use at the old contract terms until such time as you transfer to your new supplier. You will not be liable for any cancellation fees. You need to give your supplier at least two days notice before you move. Your supplier will then arrange for a meter reading to be taken or, more likely, ask you to give them the meter reading yourself. This will be used to calculate your final bill and to open new accounts in the name of the new occupier of the premises. No. You need to give your existing supplier at least two days’ notice of your move. Other than that, you will not incur any penalties for early contract termination in these circumstances. Economy 7 is the common name for a 2 rate meter that allows you to benefit from cheaper energy prices during ‘Off peak’ hours when energy tends to be cheaper e.g. at night. Economy 7 requires a special multi-rate meter to be installed at your home. If you have a 2 rate meter (and tariff) you will typically get charges at a cheaper rate for the consumption on the low dial than on the Normal dial on your meter. In order to benefit from this cheaper rate electricity, however, you need to use it when it’s cheap so that it is registered on the lower rate. There are grants and schemes available to help you make your home more energy efficient. Take a look at this energy grants calculator from GOV.UK to see which grants you may be eligible for. There are 3 main types of electricity meter. A single rate meter is the most common of the 3 above with all electricity used being recorded on the same reading. A multiple rate meter has a number of dials and can be used to record the amount of electricity used at different parts of the day or night. With a 2 rate meter, typically it has a normal rate dial showing your consumption during the day and a low rate dial recording your consumption of electricity at ‘Off peak’ times. 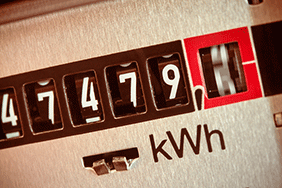 A prepayment meter is used to pay for the electricity you use in advance of using it. No. When you change supplier they will not change your meter and will continue to use the same pipes, wires and meter as those currently at your property. If you do want to change your meter for any reason, contact your supplier and they can advise you on this subject, together with any associated costs for undertaking the work. Your new supplier will be responsible for reading your meter, although they often use a third party company to do this for them. Your new supplier may also ask you to read the meter from time to time and we would recommend that you do this (if safe and practical) at the time of the transfer both for your own records and in the unlikely event of any problems during the transfer process. The meter reading will be used to finalise your accounts with your current supplier and to open up new accounts with your new chosen supplier. Before you contact your energy supplier, it might be worth checking that your bills are not based on estimated meter readings, which may have distorted your bills and left you thinking that your meter is inaccurate. Once you’re convinced, contact your supplier who can then arrange for an accuracy test to be undertaken. In order to arrange this, you will need to talk with your energy supplier. They will be able to arrange this for you and will advise you of the associated costs for doing this. In some circumstances, this may be free of charge. It’s possible that you may qualify for this under the Priority Services Register – available for elderly, disabled or chronically ill customers. This offers services such as quarterly meter readings, gas safety checks and other forms of support, such as helping to move an inconveniently placed meter. To join or to find out more information, contact your supplier. If you change supplier, your new supplier is responsible for obtaining a meter reading on or as near as possible to the transfer date. This is for the purposes of finalising your existing accounts with your old supplier and establishing new accounts with your new supplier. On the back of your bill, you will find contact details for your supplier. Contact them and tell them the problem, they will do everything they can to sort it out to your satisfaction. When should I pay my final bill? The payment terms and conditions and methods of paying the final bill will be printed on your final bill when you receive it. Typically however, you should pay your final bill within 28 days. If you have difficulty paying, your old supplier may agree that you can pay the bill in instalments. Alternatively, your new supplier may agree to let you transfer the balance onto your next new bill. Be aware that you may incur additional charges for late payment. A supply number or "S" number is a unique reference number which identifies the electricity meter at your property. The supply number contains information relating to the type of meter you have at your property, as well as additional information that is useful to your chosen supplier. We use special software on our site to make it easy for you to change supplier without the need for collecting lots of bills and paperwork. However, if you do need to find your supply number, it’s displayed on your electricity bill. In almost all cases, each household will have only one supply number per meter. Your supplier must provide you with a 24-hour emergency number, which you should call if you think there is a safety problem with your meter, the electricity cables, gas lines or other equipment running into your home. You should also call this number if you experience any energy interruptions at your home. Your supply company is not actually responsible for the wires, cables and pipes that supply energy into your home; this is the responsibility of the local distribution company. If you suspect or detect a gas escape (leak) you should contact Transco. Transco are responsible for all gas emergencies. Their national Freephone number for emergencies is 0800 111 999. If in doubt, call them out. 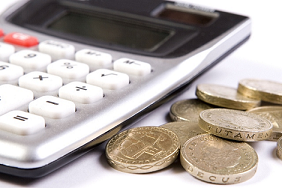 Your supplier must offer you help and advice if you have difficulties paying your bills. You should contact them as soon as possible to discuss available options if you think that you may get into difficulties paying your bill.